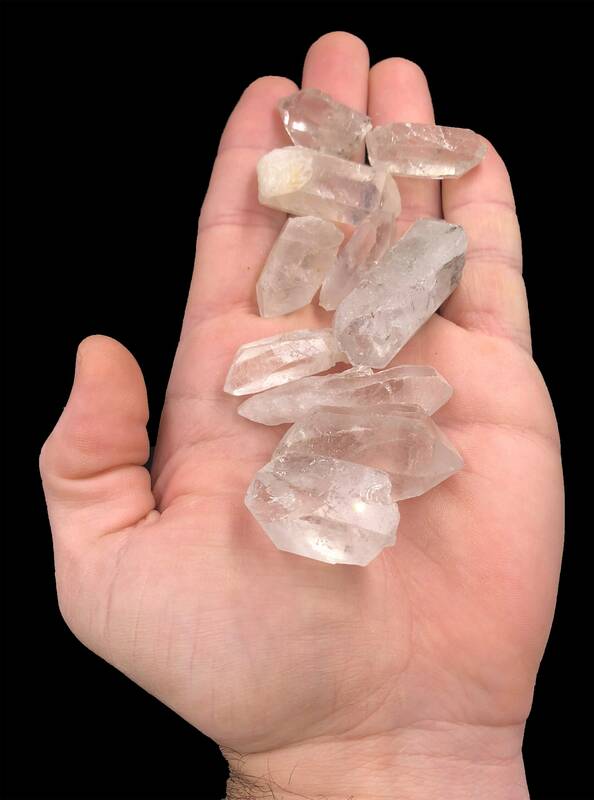 Each Quartz point ranges in size. Anywhere from 1/2" - 3" on average. Each pound will include anywhere from 15 - 20 points. These points are considered a commercial grade. Some points will have dings or chips or imperfections. Good for grids, crafts, wire wrapping, school projects, collecting and whatever you creative folks can think of that I certainly can not. 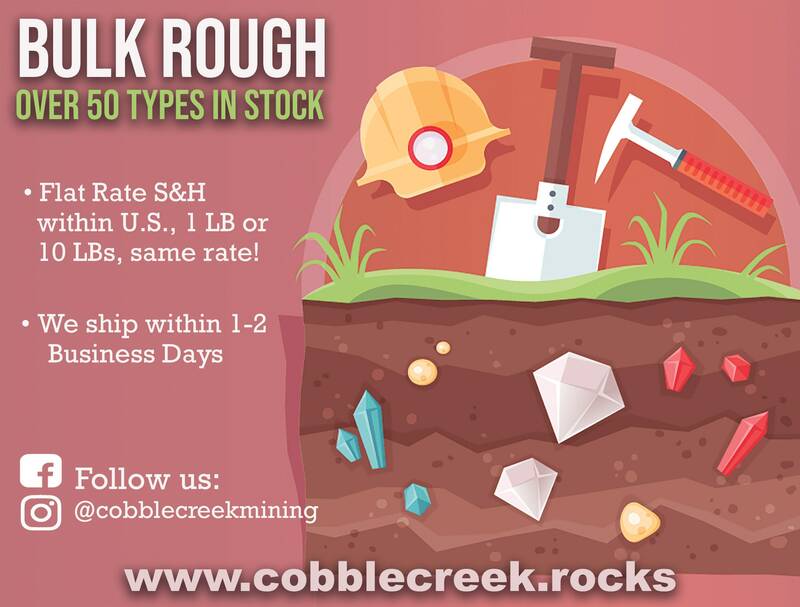 Each pound will be a random pull from our bulk supply. 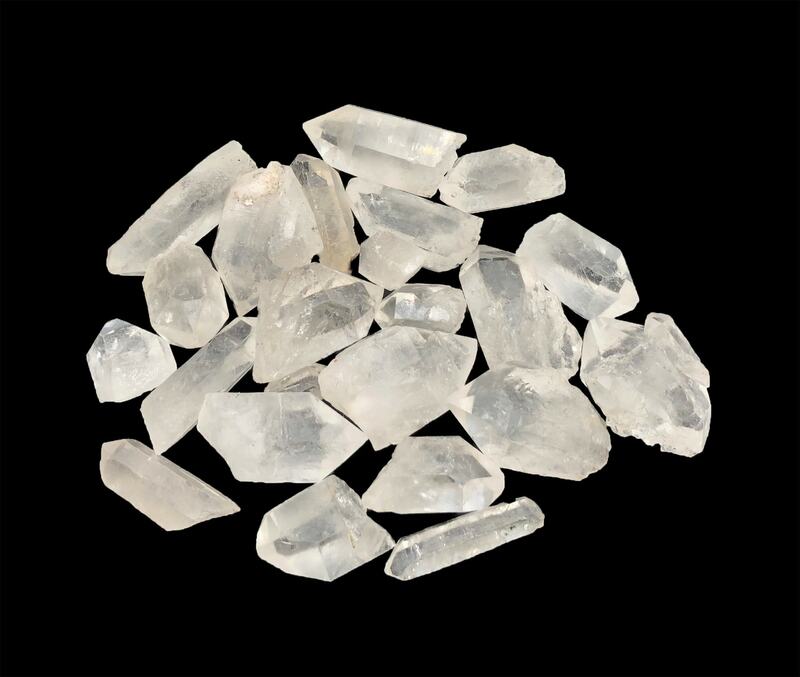 Quartz crystals are chiral, and exist in two forms, the normal α-quartz and the high-temperature β-quartz. 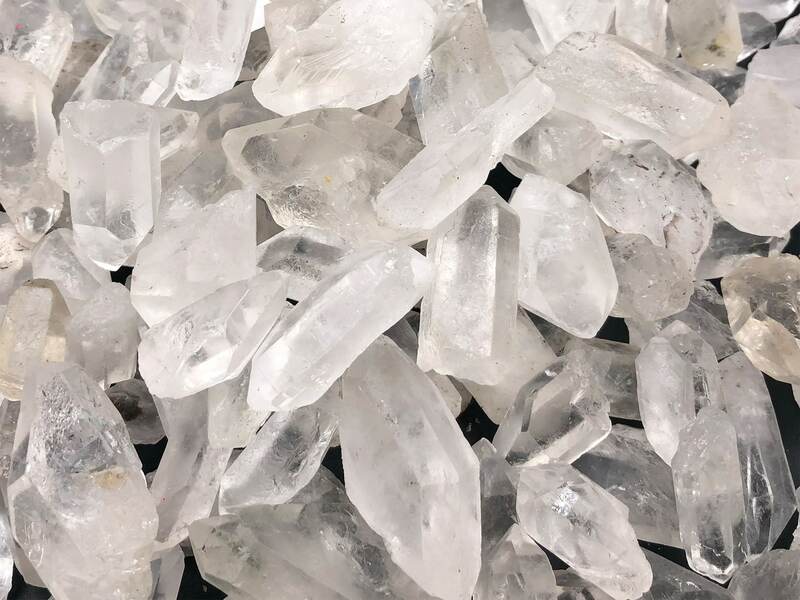 The transformation from α-quartz to β-quartz takes place abruptly at 573 °C (846 K). Since the transformation is accompanied by a significant change in volume, it can easily induce fracturing of ceramics or rocks passing through this temperature limit. Super sweet quality and generous quantity for the price. Love this Etsy shop for its variety of treasures and reasonable prices.